This article is about the 1967–1990 state. 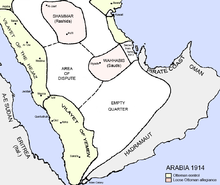 For the 1994 breakaway unrecognized state, see Democratic Republic of Yemen. ^ Müller, Miriam M. (2015). A Spectre is haunting Arabia - How the Germans brought their Marxism to Yemen. Bielefeld: Transcript. pp. 257ff. ISBN 978-3-8376-3225-5. ^ "Separatist clashes flare in south Yemen". 30 January 2018. Retrieved 30 January 2018 – via www.BBC.com. ^ "Yémen: les séparatistes sudistes, à la recherche de l'indépendance perdue". Le Point. 28 January 2018. Retrieved 28 January 2018. ^ Laessing, Ulf (January 22, 2010). "Women of southern Yemen port remember better times". Reuters. ^ Gart, Murray (January 9, 1989). "South Yemen New Thinking in a Marxist Land". Time. ^ "Airlines - South Yemen". The World's Airlines. David Lyall. 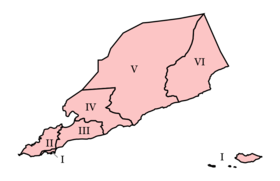 Wikimedia Commons has media related to South Yemen.